As a Black woman that has experienced sexual assault, the last few days in Virginia politics has left me reeling in a vortex of anger and distrust. Unfortunately, I’m not alone. 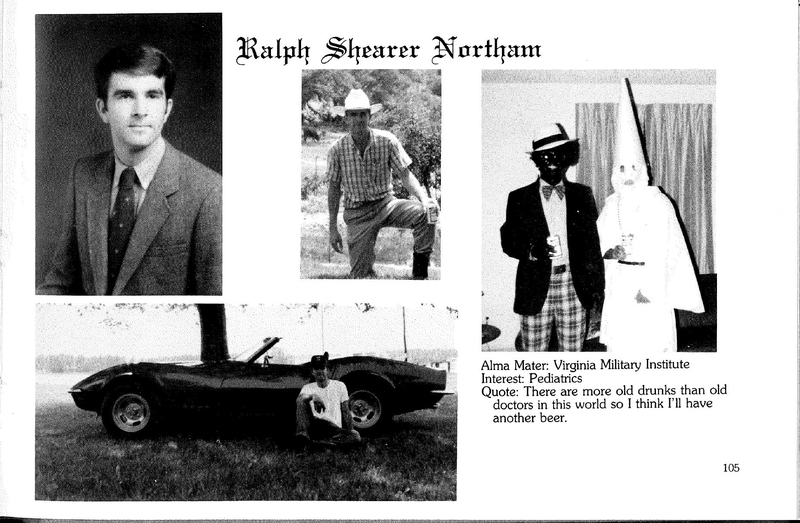 Governor Ralph Northam effectively lost the Black community’s trust with his admission/non-admission of having posed in a yearbook photo with blackface and Ku Klux Klan robes at the ripe age of 25 years old. Consequently, he was asked by Virginia Democrats to resign. He promptly refused, causing more mayhem. However, the glimmer of hope was the possibility of Lt. Gov. Justin Fairfax, taking Northam’s place. Justin Fairfax speaking to reporters. Then, suddenly that glimmer of hope came crashing down as sexual abuse allegations spread about Fairfax. With two allegations, one from Professor Vanessa Tyson (2004) and one from Meredith Watson (2000) – it was clear that Fairfax was no longer on the road to becoming governor. It was also clear that the political circus in Virginia was going to become more complicated, more disappointing, and more enraging. Democrats were at first unsure how to process the Fairfax allegations. But as Vanessa Tyson and Meredith Watson told more of their very detailed and compelling stories, a uniformed call for Fairfax’s resignation began. There was even a delegate preparing to impeach him. At the same time, Governor Ralph Northam was all but planning a quiet victory party, hoping to rebuild his appeal among Black voters with a new race-based agenda. The conversation about his photos with blackface and KKK robes mostly died down. Many people, including some self-proclaimed progressives, rested on the “blackface is bad but not criminal,” excuse. Ralph Northam speaking in an interview with CBS. These statements dangerously minimize the fact that the Ku Klux Klan is a domestic terrorist group. Black communities were not angry at Northam for having bad manners. We were angry because those photographs depict an alignment with people that have terrorized, murdered, and raped Black and Brown people across the United States of America. A 25-year-old man in medical school (FROM VIRGINIA) knows very well what the Klan is and what they represent. If Tamir Rice was a man, if Mike Brown was a man, if Trayvon Martin was a man, then surely Ralph Northam was a man at 25 years old – fully capable of the repercussions of his actions (both then and now). As a Black woman that has experienced sexual assault, I am in no way excusing or minimizing allegations against Justin Fairfax. Nevertheless, accountability shouldn’t be selectively reserved when it comes to issues surrounding racism and sexual assault. Though the two issues should never be conflated – we can and should hold people accountable for both. I feared that Democrats would allow Northam and his allies to weaponize the Fairfax allegations in order to remain governor and never be held fully accountable for his actions. And that is exactly what happened. Basically, Fairfax’s sexual assault allegations became the shield for Northam’s racist transgressions. In that case, Black women, whom everyone suddenly pretends to care about, are no safer, no more protected than we were before. It’s all a horrible mess that no one could have predicted. But we’re here now, and we have to make sense of it. In both cases, there must be justice. Fairfax has been accused of a crime. Vanessa Tyson and Meredith Watson should be heard. Their testimonies should be taken seriously. There should be a full investigation, and there should be full accountability. On the other hand, Northam publically aligned himself with terrorists in his yearbook photos. To me, this is enough for removal as well. And he should also be thoroughly investigated. But now that’s not going to happen. Between Fairfax and Northam, the only thing I’m rooting for is truth and justice. However, we can not allow the hope for justice to be weaponized against us. Untangling this web of chaos isn’t easy. Even as I write this, I feel juxtaposed against myself. Perhaps, I am. However, if Democrats were willing to impeach Fairfax with no specific plan for addressing Northam, they were not truly working towards ensuring justice. They’ve only allowed justice to be weaponized to protect another person in power. Lastly, as we move closer to 2020, there are only going to be more revelations, accusations, and scandals. I strongly advise Democrats to develop a well thought out process that brings more order and equality to moves towards investigating issues and enforcing accountability. Jessica Ann Mitchell Aiwuyor is a publisher and multicultural communications specialist. To reach J.A.M., email her at JAMAiwuyor@gmail.com. Yes!!! I could not believe what has happening in Virginia. It was so crazy. I’m still in amazement myself at how this whole thing unfolded. As bad as the situation may appear to be to one as an outside observer regarding the Governor’s bad conduct at 25 of appearing in black face, which was no less than a mockery of blacks over the last 400 years. Whether he did not want to consciously acknowledge it or not, it was/is a predicate to the dehumanization and exploitation of black people, to justify denying even a basic human privilege. However, despite whatever disenchantment I may have, I still must pause and respect the black citizens in the black community of the State of Virginia who when polled said that they want to forgive his conduct and allow him to remain in office, to allow him to prove his sincerity and worth to them now. Their’s is a pragmatic concern, while mine is idealistic and based in honor and integrity; however, they fear getting someone much worse than the present governor. So with that said, I must reexamine my position of whether he should stay of go based upon what a vast majority of the black folk directly impacted in Virginia have to say.